Lamborghini Rental Houston (832) 410-8100. Reserve it now! Have you considered Lamborghini rental in Houston? Do you ever wish you could be seen driving your dream car? Do you find yourself admiring others driving around in a luxurious Lamborghini? Often people believe they must own a Lamborghini in order to drive one, but that is simply not the case! Renting a Lamborghini is much easier than you’d think, and it is significantly less expensive than owning one. These are just two of several reasons that renting is a preferable option and we review several more below. Lamborghini rental in Houston is not only easy but an extremely enjoyable experience! Houston, Texas, has the perfect weather for it after all. Warm summers, cool winters, and dry air provide the perfect combination for the maximum output from these finely tuned machines. If you are an experienced top performance driver with experience in multiple climates, you’ll immediately notice the difference. Houston is lucky enough to have great weather for Lamborghini driving almost every day, so it’s never a bad idea. Whether it is for a weekend getaway, a sweet ride on your wedding day or simply to impress a special someone, renting a Lamborghini will make memories that will last a lifetime while avoiding the cost of buying. Looking to go on a short, weekend road trip? We’ve all done the bed and breakfast routine and they’re great, but if you’re really trying to show someone you care about them, you should wow them and take it to the next level. Start an epic adventure and add some more excitement into the mix by renting a Lamborghini to take you to your final destination. Whether is a getaway with the boys or a romantic escape with a loved one, renting a Lamborghini makes any weekend feel like the adventure of a lifetime, without the hassle of year-round ownership! Studies have shown employees perform better when their hard work is appreciated and rewarded. If you really want to make a splash in the office and push a sales contest to the next level, offer up a Lamborghini rental as the top prize. Whether it’s a weekly, monthly, or yearly sales contest, the Lamborghini is sure to push your top sales people to the next level. Lamborghini rental in Houston is fast, easy and accessible, your employees will not know how to thank you! Make sure they know you appreciate everything they do and give them a weekend experience they will never forget. Your reward will be reciprocated with their continued hard work and dedication. Lamborghini screams success and much of the success in this world comes from creating momentum around an idea or proposal, and the right meeting. Show up to your next life-changing meeting in style and look like you belong at the table. There is no shame in admitting you wish you could be driving an incredibly fancy car simply to impress others, it’s the main reason most people drive luxury cars! Lamborghini rental in Houston is both quick and easy, and will give you a chance to impress everyone who sees you driving such an incredible car. Everyone wants to arrive at their wedding in style but not everyone owns the car to make that happen. Often people borrow from a friend or relative, or perhaps rent a limo but why not kick it up a notch? Limousines are on the verge of becoming a cliché. Rent a luxurious Lamborghini for your wedding day and make the entrance you’ve always dreamed of.The rumble of the engine will surely grab the attention of your guests and allow you to arrive in style on your special day. Why buy a Lamborghini when you can rent one? 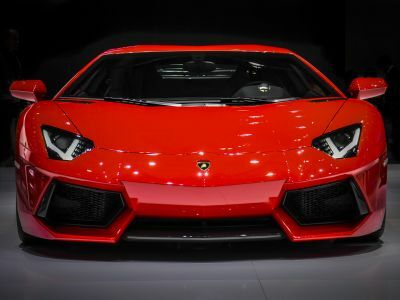 The costs associated with owning a luxurious car like a Lamborghini are astronomical! An alternative to buying is to rent your dream car, and the benefits are numerous. Renting this incredible car takes away the responsibilities of paying for year-round insurance, maintenance and monthly payments. There is no need to worry about the depreciating value of the car or the fact that half of the year it will be sitting in your garage collecting dust. Renting provides a carefree alternative allowing you to be seen driving a car you love whenever you chose without all the costs and worry that go along with buying!